The focus for this look is brows and lips, and I altered my natural features quite a bit to mirror Ms. Bacall's as closely as possible. I raised my arch quite a bit and made the tail as pointy as I could without having to pluck my brows. The tip of her nose is narrower than mine, and when you see her nose straight-on, it's a uniform width all the way down, unlike mine. Again, I used contouring to mimic her features but there's only so much I could do short of getting plastic surgery for this post! Finally, she has a somewhat thin upper lip but a plump lower lip, so I under-drew my upper lip and over-drew the bottom! Before we get into the tutorial, I highly recommend watching this scene from her & (future husband) Humphrey Bogart's 1944 film To Have and Have Not, and keeping it on loop throughout the rest of the post! 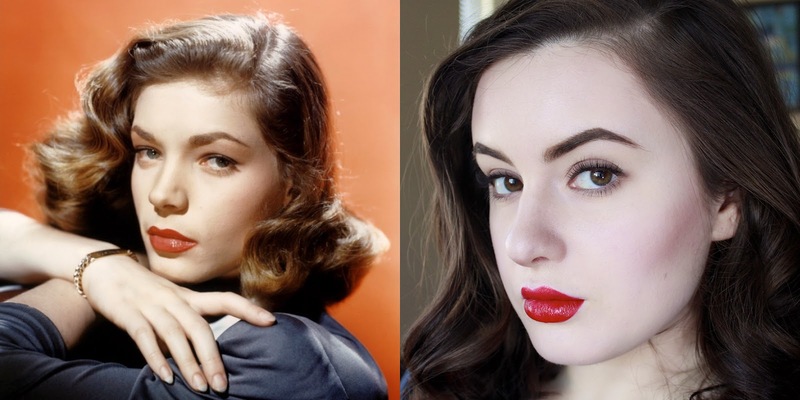 Enjoy, and in the comments let me know who your favorite classic film starlet is! 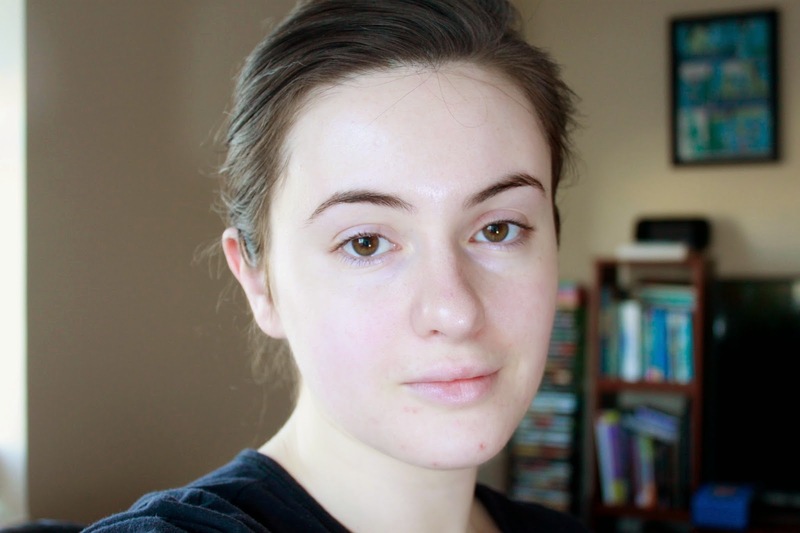 Fresh faced & super over-exposed! My camera screens tells lies. 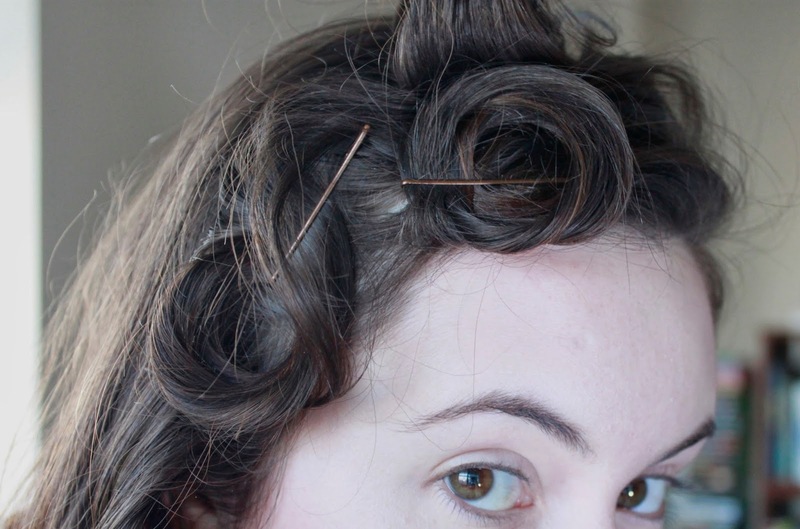 I used hot curlers, with the smallest size framing my face and larger at the back. A bit of hairspray & pinned while getting ready. I was hoping this process would create that dramatic first curl on Bacall's left temple, but didn't as much as I'd have liked. Foundation, concealer & contour going on. Let me know in the comments if you want a more detailed tutorial on this step! Added a smudge of Clinique's liner with a very slight extension at the end. No cat-eyes here, tempting as it is! Added the shadows very subtly to the lid only, concentrating the taupe colors closer to the liner and blending with the skin-tone shades. Bacall has a very heavy-lidded look with a light, highlighted expanse of skin between the crease & brow. You can barely see her lid, let alone any crease definition! So again, tempting as it is to go full pin-up, tread lightly here. And then continued to trace my shape above. I'm lowering the inner lower corner of my brows because Bacall always looks like her chin is lowered & she's glaring up at her prey. These are brows with attitude! Brushed the arches down so I can really see where I'm tracing here, because Bacall's arches are sharp as tacks. Again, with the lowered-chin, cat-like look in mind, I'm bringing my arch above where it is naturally. Filled in & added as sharp a tail as I could without plucking my own. I added some of Smashbox's Haze shadow to the top of the arch with an angled brush to make them sharp enough to kill a man. Mascara & lashes. 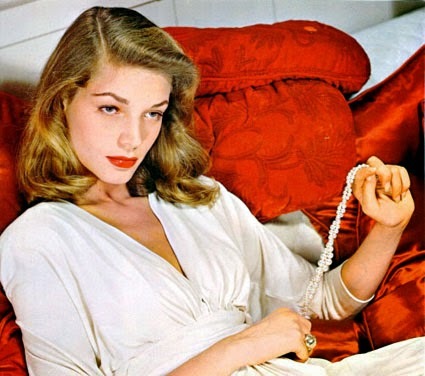 I chose a pretty natural pair because, again, Bacall's eye makeup was very light. Now the co-star of the show. I'm sorry I didn't provide more detailed photos of this, but once I get in there with lipstick I just tend to keep at it. 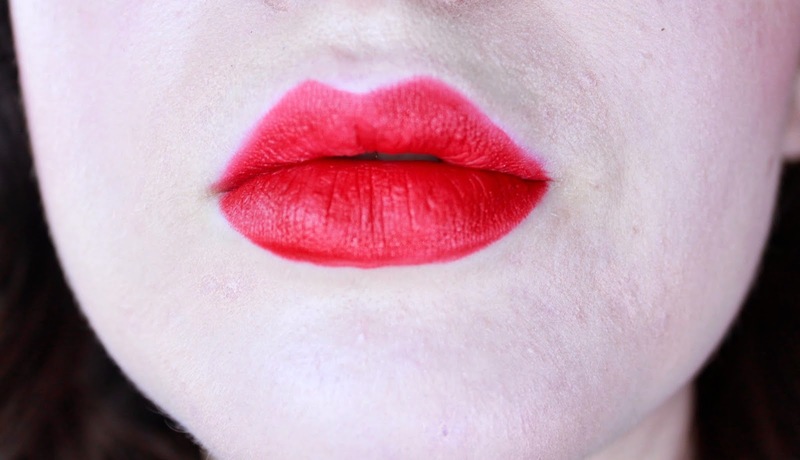 I used to try to create a perfect lip line with just my lipstick's edges. 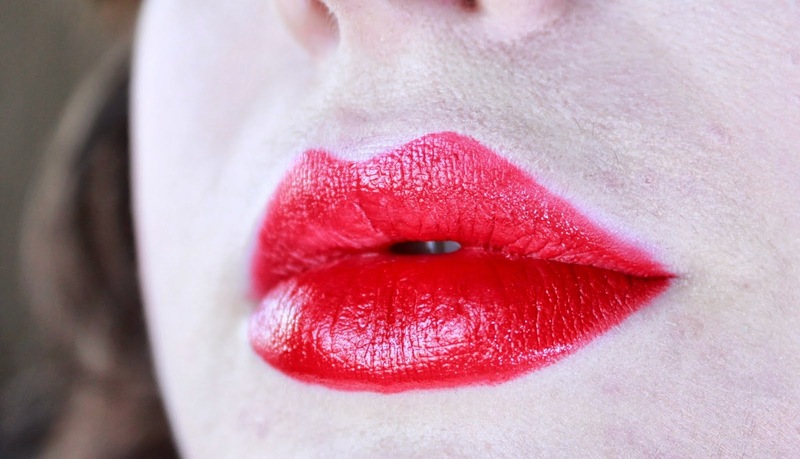 Make it easier on yourself and either buy a lip-liner that matches the lipstick perfectly or a lip brush. My method now is to rough-apply the lipstick, just keeping it inside of the final lines I want. Then, I go back in with a lip brush to perfect the lines. 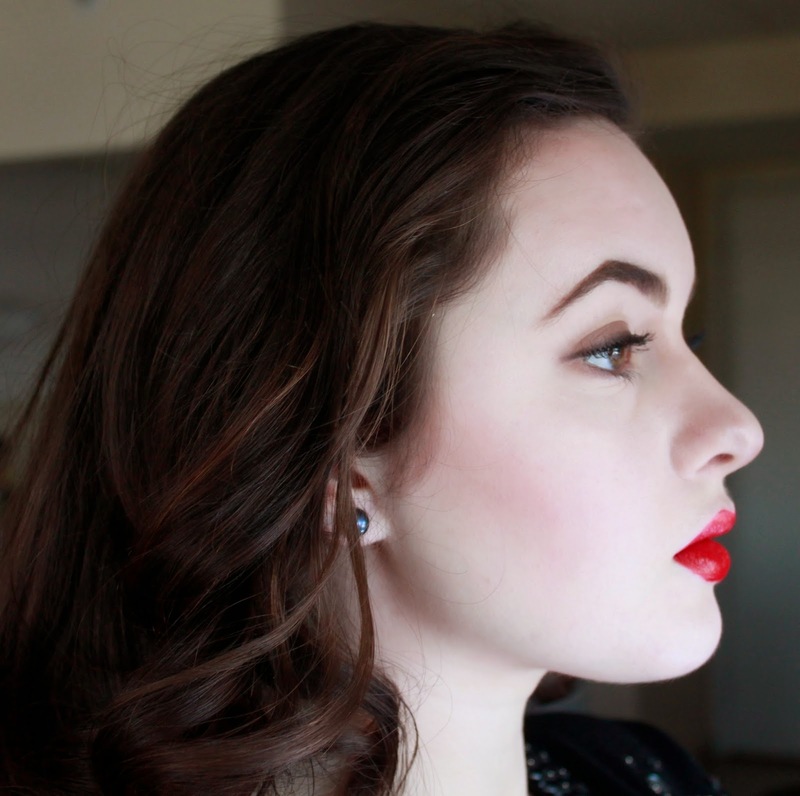 As I wrote before, I under-drew my upper lip and over-drew the bottom to mimic Bacall's mouth. Pop some gloss on and there you have it! I broke out a vintage sequined cardigan and some pearls just for you guys! Hope you enjoyed! Watch The Big Sleep or Key Largo this weekend in honor of one of Hollywood's greats.